class="page-template page-template-page-sections page-template-page-sections-php page page-id-199 samba_theme wpb-js-composer js-comp-ver-4.1 vc_responsive"
Our carpets bring a room to life, they create a feeling of wellbeing. Pets enjoy soft carpets as much as you do. Stain resistant, durable pet-friendly carpets, make keeping your home clean easier than ever. Whether you are looking for a luxurious homely carpet for your lounge, something soft yet durable for the children or a hard wearing and resilient carpet for high traffic areas, we have a broad range to cater for all. There is a lot more to carpets than meets the eye. It’s no longer just about the ‘colour’ and ‘feel’. 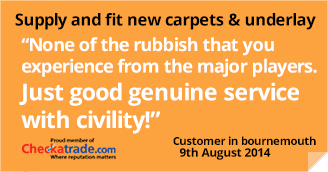 Talk to us about the new technological range of stain resistant carpets. We offer a home selection service where we bring carpet samples to you in the comfort of your own home. Please contact us to make an appointment at a time to suit you.